Thanh toán: C.O.D (nhận hàng thanh toán ) hoặc chuyển khoản. Miễn phiship toàn quốc. 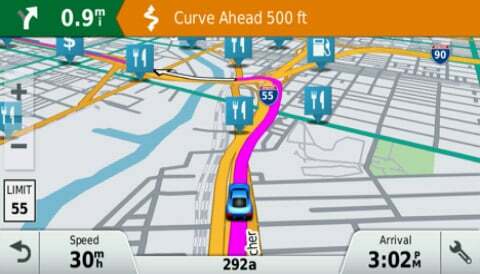 Garmin DriveSmart GPS navigator provides driver alerts to encourage safer driving and increase situational awareness. 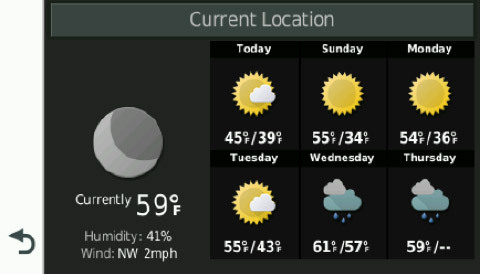 Warnings include alerts for sharp curves, speed changes, railroad crossings, animal crossings and more. 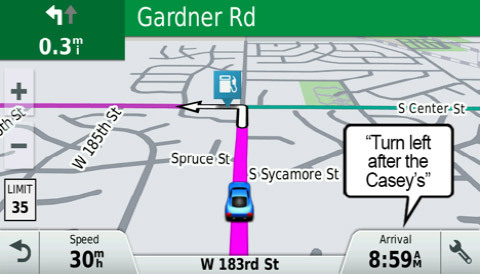 Additionally, Garmin DriveSmart notifies you when driving the wrong way on a one-way street and sends warnings for nearby school zones. 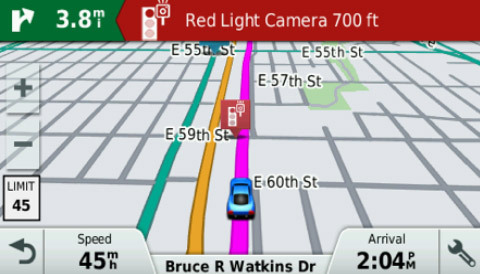 Receive alerts for nearby red light and speedCAMERAS 5, and be prepared for sudden halts in traffic with upcoming traffic jam6 alerts. 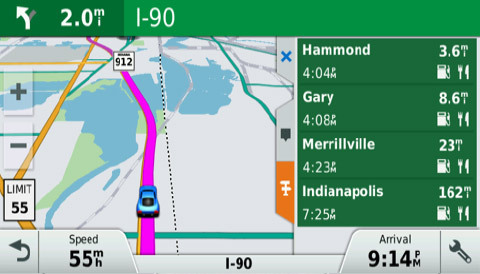 For longer drives, a fatigue warning7suggests break times and potential rest areas after hours of driving. 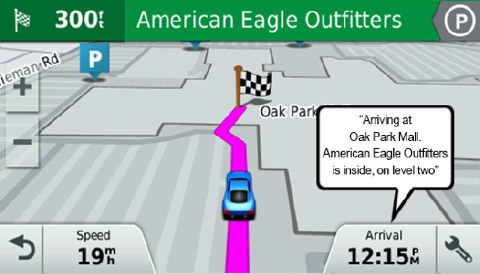 The Up Ahead feature lets you easily see places up ahead and milestones along your route, without leaving the mapVIEW . 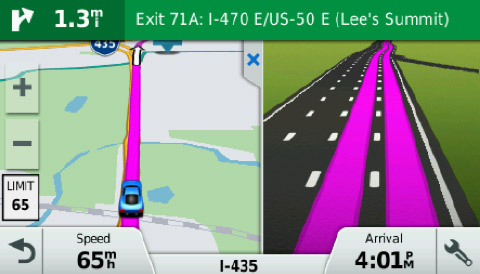 Garmin DriveSmartOFFERS you the option of convenient voice-activated navigation. 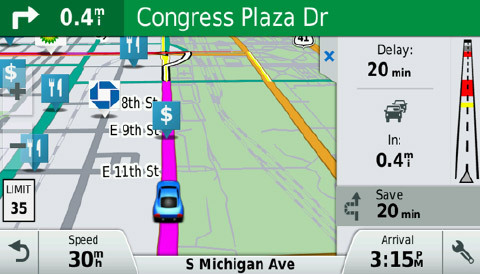 Control Garmin DriveSmart with your voice, while your hands remain safely on the wheel. 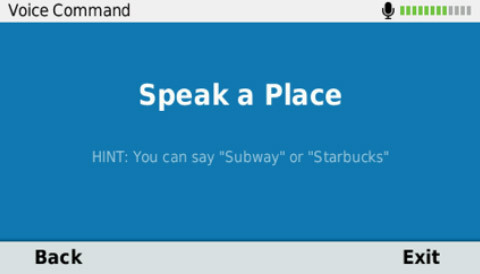 Sync a Bluetooth-enabled device, such as yourSMARTPHONE , to Garmin DriveSmart for hands-free calling, and receive smart notifications on your Garmin DriveSmart display. 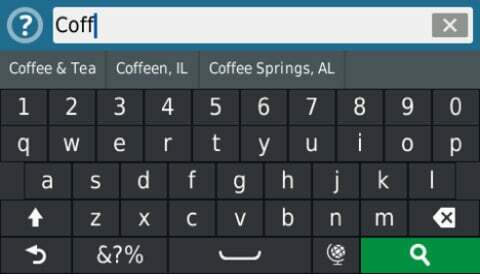 Receive calls, text messages and calendar reminders without ever removing your hands from the steering wheel to reach for your phone . 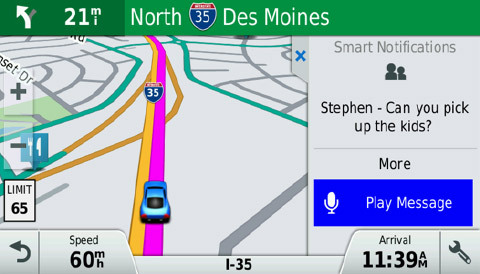 Stay focused on your drive ahead while staying connected with customizable smart notifications that conveniently appear right on your navigation display. 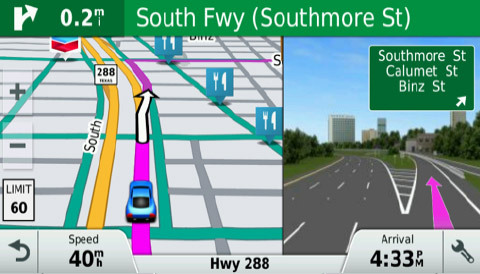 For real-time information such as weather and traffic conditions, download Smartphone Link8 mobile app, which connects your Garmin DriveSmart GPS navigator with your compatibleSMARTPHONE . 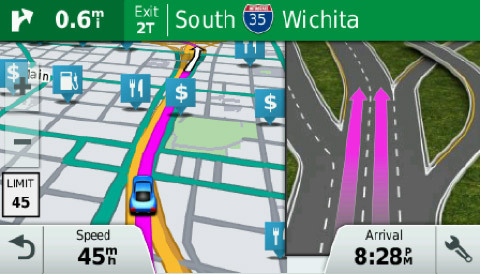 For a complete navigation solution, Garmin DriveSmart pairs with the BC™ 30 Wireless Backup Camera (sold separately; professional installation recommended). 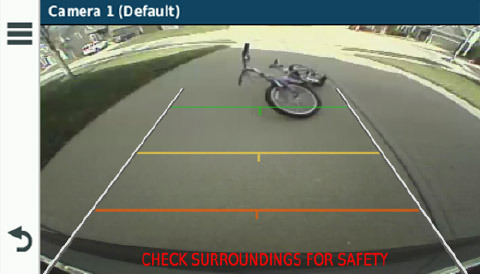 Once connected, you can easily seeVEHICLES , pedestrians and other obstacles right on the Garmin DriveSmart display, as you move in reverse. 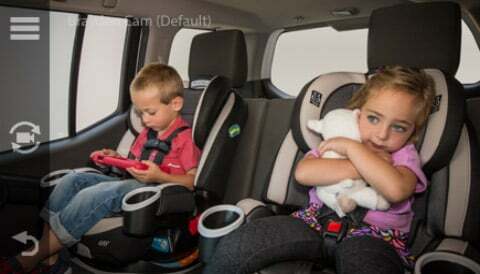 When traveling with a baby or toddler, add Garmin babyCam™ to your drive. 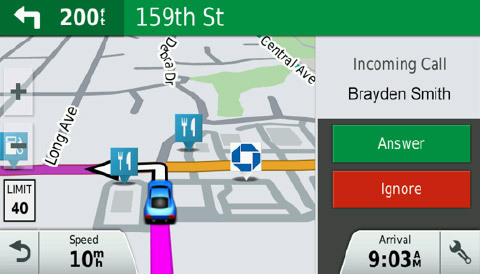 babyCam is an in-vehicle video baby monitor that conveniently provides an “on demand” view of your backseat passenger, right on your navigation display. This USB mass storage device is compatible withWINDOWS ® XP or newer and Mac® OS X 10.4 or later.